Rent to own? What is it? So you are interested in Rent to own process to buy a new home? But what does that mean? The most important thing to remember is the lease option agreement is a legal binding document - make sure to have a real estate attorney draft the document. I cannot stress this fact enough. 1. A Rent to own is agreement is also called a Lease Option - it is an agreement for a buyer to rent a home for a set amount of time before exercising an OPTION to purchase the property when or before the lease expires. 2. Potential buyers get to move into the property right away, with a predetermined lease amount of time - one to three years is typical. 3. Before the buyer moves into the property a Rent to own Lease option agreement is signed and the buyer PAYS the seller Option Money. This gives the buyer the opportunity to purchase the house in the future. The size of the option is negotiable and is decided by the seller and buyer when the agreement is signed. It is usually a percentage of the purchase price. 4. The purchase price is also negotiated at the time the agreement is signed, however the seller can have the option of having an appraisal done at the time of the lease expiration and the purchase price can be adjusted to the new appraisal value. In a market where properties are increasing in value this could potentially mean the buyer would pay more than the purchase price that was originally agreed upon. 6. The agreement should also address who will be responsible for maintenance and repair on the property. If the buyer decides not to purchase the property or is unable to obtain financing at the end of the lease terms all monies that were paid towards the seller will stay with the seller. Including the option credit and all rents. In today's market it can be difficult for a seller to agree to a rent to own situation - usually a contract for deed might be easier for a seller. A professional Realtor can help you facilitate the process, some conditions will need to be met. If you are interested in a rent to own lease option I would suggest contacting a local Real Estate agent and/or Real Estate Attorney to find out the specifics that are available and what your options are. Spring is here - which means it is time to put off listing your home. Now is the perfect time to list your home in Butte as the market is still booming - buyers are looking and buying. 1. Usually the number one rule is de-clutter/de-personalize - but I have a different take on this concept - remove what I like to call "everyday clutter" - decorations, art and personal items are fine to leave up - buyers don't want to see content of your junk drawer on the kitchen counter though. 2. Remove all personal items from the Fridge - doctor appointments, Calendars showing your schedule for the month, receipts etc. Scammers are everywhere and they use that personal information. 3. Make sure all light switches work. If you have a switch that controls an outlet - plug a lamp into the outlet. Nothing scares buyers more than electrical lights/outlets that appear not to work. 4. Make sure you have light bulbs in all lights - especially the creepy dark stairway light leading into the basement/crawl space. It is dark down there. Please provide adequate lighting. Buyers (and Realtors) go into that space. 5. Clean smell is better than any other "masking" smell. A house that smells like a cleaning product gives the impression that you are clean. A house that has a different candle in every room smells like you are covering something up. Plus it can be a little overwhelming to the senses. 6. Open your window treatments - let the light shine in. A bright, well lit home will show 10 times better. 7. Make each room have a purpose. We all have that one room where things go to be forgotten until the next garage sale. Box those things up and make the room a bedroom, or office. Buyers want to see themselves in the house, which means if you are using a family room as your storage area it is hard for the buyer to see it as anything more than storage. 8. Freshen your linen closets regularly. Yes Buyers open all closets. ALL OF THEM. The closet you keep your stinky softball gear will stink. Your linen closet full of every towel you own, even though you only use 5 towels on a consistent basis will start to smell stale after a bit. Air it out, febreeze it real quick, make it smell nice. 9. Your front door/entrance is the first impression of your house. Make it memorable. 10. Finally - the easiest tip on the list - Hire an education and dedicated Realtor. The first month of 2016 is in the books and January was a busy month in Real Estate. I always hear that listing or buying in the winter months is hard, the market slows down etc. RUMORS. The Butte market is just as active. Buyers are looking. When buyers are looking, houses are selling. In January the Butte market had 43 new listings. 43 New listings just waiting for the perfect buyer to come along. Currently there are 185 active listings in Butte. Just in Butte, not the surrounding communities. Home owners are listing properties, so why not start the buying process. On the flip side - in January there were 33 sales. 33 houses sold, closed, changed ownership in January. 33 new home owners achieved their dreams of owning a home. 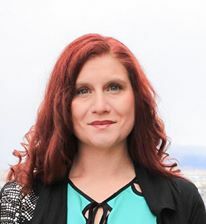 My office Re/Max Premier in Butte currently has 75 listings. We had 8 new listings in January, out of 43 new listings that is an 18% market share. Our office sold 8 of the 33 listings - which is a 25% market share. That is a pretty big chunk of the pie in Butte, considering the size of our office. I think the numbers speak for themselves - Winter is a great time to sell or buy a house - the market is active, deals are closing and you can always find friends to help move because what else are they doing on a cold winter weekend? So you are finally ready to take the plunge and buy a house. Like most home buyers you check out a few websites, look at the Real Estate section of the newspaper and start dreaming of your home. The next step is to contact a Realtor right? WRONG. Before you even begin to look for a Realtor or a home for that matter the first thing you need to do is talk to a mortgage officer about financing options. Yes, you probably will qualify, but a pre-approval is more than just the bank telling you they are willing to give you a loan. It is so much more. As a buyer it is in your best interest to know before hand if you qualify for the 4 bedroom, 2 bath with the ideal location for $200,000 - or if you approved for more of a 3 bed, 1 bath bungalow for $150,000 range. It is much easier home shopping in your price range from the start rather than having your hearts broken when you do not qualify for the house of your dreams. Also - if you are going to ask the seller to contribute to any closing costs or pre-paids, you will need to know that number before you write up and negotiate the buy/sell. Each Bank will have rules for the down payment, so make sure you know what the bank will require and what you will need to do beforehand regarding the closing costs. Communicate with your Realtor and lender what you can and cannot do for the down payment. 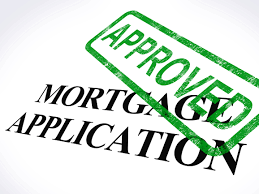 Finally - having that pre-approval letter in hand when you make an offer shows the seller that you are a serious buyer, that you can afford the house and are going to follow through with the loan to purchase the home. It can help with negotiations (sometimes) and makes your offer look more solid. I have had deals get accepted because the seller liked the lending institution my buyer was using. Take the time to get a pre-approval letter. If you are unsure what lender to use, ask your Realtor. Ask your bank if they do mortgages. Take the 30 minutes to make a commitment towards your future home purchase, you might save yourself a lot of headaches and heartaches down the road. 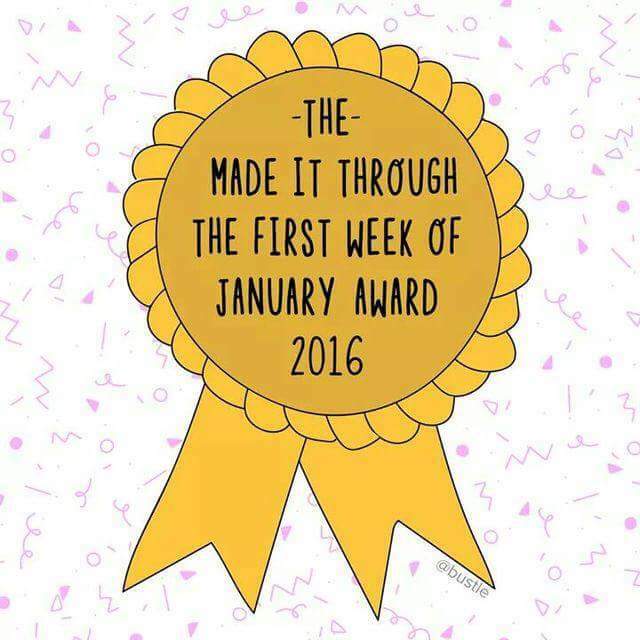 Yes I am giving myself an award for making it through last week. Sometimes you need a pat on the back - especially in the Real Estate market. I had three deals fall apart last week, all before Wednesday. THREE. One was due to financing, both buyers were unaware of a few things on the credit report. Which brings me back to the first rule of home buying - get pre-approved. The second deal didn't make it through inspections. Buyer and seller couldn't agree on terms, which happens. Second rule of home buying - get an inspection. Finally my third deal fell apart because of the buyer getting cold feet. Not sure if this has anything to do with any home buying rules. People change their minds. I went to bed Wednesday night devastated. Two deals were really important for my clients and I always take things personally. Even when I have no control over bad credit scores, or bad inspection reports, or cold feet first time home buyers. However by Thursday afternoon I decided to shake off the disappointment and head into the weekend on a positive note. My mood had a little boost when cold feet buyer decided they really, really, really wanted the home and retracted the previous termination. Yep - that is a thing. It was still a rough week and I was so happy for Monday today - just for the fact that it is a new week and I get to start all over. Who knows - maybe I will get another award this week. Deadlines are huge in the Real Estate industry. Everything a Realtor does, requires paperwork, and that paperwork has specific deadlines. The Buy Sell will have inspection dates, appraisal dates, insurance dates, closing dates etc. All terms and conditions are negotiated along with price when a deal is accepted by the seller and the buyer. One of the main responsibilities of a Realtor is to keep a close eye on the deadlines and make sure your clients are aware of the dates also. Waiting too long for an inspection notice report can essentially forfeit the clients right to negotiate the inspection contingency. Try explaining to your buyer why they no longer have the inspection contingency. I am constantly checking and re-checking the dates on every deal, so my clients can rest easy knowing I am looking out for them. Once the buy/sell is signed, my job doesn't end. I will keep constant communication with my clients to make sure the deadlines will not need to be extended and that the deal is moving towards closing as quickly as possible. It isn't uncommon to exchange emails, phone calls or texts with my clients at least once a day. If a deadline is approaching and I am waiting for a response from my client, it will be every day. I do a lot of behind the scenes busy work to make sure a deal runs smoothly and follows the deadlines. After all - waiting for tomorrow can be a costly mistake. You spent your first Christmas in your new house - now what? As a first time home buyer, the process of buying your first home can be a little daunting, when the closing day finally arrives the last thing on your mind is making sure your new home can make it through a long cold winter in Montana. A few tips and tricks that help with maintenance and can save on the power bills. 1. Install an electronic thermostat. Electronic thermostats can be found at any hardwood store, they are simple to install and allows you to control the heat settings while you are gone during the day and when you are sleeping. You can program days of the weeks, weekends, sleep settings and "away" settings. Wake up to a warm house and come home to a warm house when you arrive home from work. The automatic settings allows better control of the temperature, which equals cheaper heating bills. 2. Check windows and doors for drafts. If you find a draft use the plastic window coverings, or blankets to cover up the draft and keep the rest of the room warm. Make note of the areas where cold air are entering and add a new window or door to your spring maintenance list. 3. Change filters in your heater. If you have a central heating system that requires filters, make sure it is changed on a regular basis. My Father in law always says to change it when you switch the clocks for day light savings time. Every fall and spring when you change the clock, check your filter and change it. Your heater will run more efficiently with a clean filter. Most filters can be found at any hardware store. 4. Check in the insulation in the attic. Check the amount of insulation in your attic, if it is not sufficient to work properly think about adding more insulation. Keeping the heat in your house will help with power bills. I hope you find my blog post helpful for keeping your new home toasty warm in the winter time.